Malaria is a parasitic infection transmitted to humans and animals through mosquitoes. Some common malaria symptoms include high fever with chills and rigor, nocturnal sweating, nausea, vomiting, and malaise. Malaria symptoms due to the malarial parasite that is transmitted through mosquitoes. Malaria symptoms usually vary depending upon the type of parasite causing the infection. Out of the four major types of malarial parasites, the Plasmodium Falciparum is the most dangerous, as infections caused by this parasite often trigger complications and can turn critical. Children account for about 75% of the mortality rates arising from this disease. Pregnant women, HIV/AIDS patients, and others with low immunity levels also face a high risk of contracting malaria. If you have contracted this disease, watch out for the following malaria symptoms, as they can help you determine if the infection has reached a critical stage. The symptoms exhibited by patients who are infected with malaria can differ, depending on the type of the disease. There are three common types, and the symptoms for each type have been provided below. Cerebral malaria is a life-threatening form of encephalopathy, which is a common characteristic of a type of malaria caused by Plasmodium Falciparum. Studies state that cerebral malaria occurs in approximately 20-50% of people with malaria. 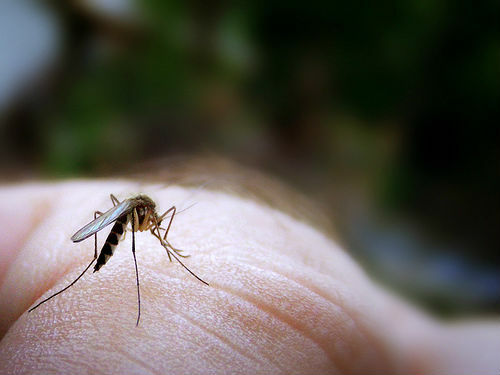 Cause: The cause of cerebral malaria has not yet been clearly understood, but according to some scientists, Plasmodium Falciparum releases an increased quantity of nitric oxide in the brain under this condition, which has the same effect as ethanol and results in unconsciousness. Mechanism: In this condition, the red blood cells containing the harmful protozoa adhere to the cerebral blood vessels. This cuts off the supply of oxygen and nutrients to these blood vessels in certain parts of the brain. In about 50% of people with celebral malaria, the intracranial pressure is usually elevated. Occasionally, the patient may develop cerebellar ataxia, which occurs about a month following a malarial attack. An MRI of the patient’s brain can display any oxygen deficiency as an abnormal EEG (electroencephalogram), and hemorrhagic lesions or infarctions may also be visible. Neurological Problems: About 10% of patients who survive an attack of cerebral malaria display certain neurological deficits like hemiparesis, spasticity, or decreased muscle tone. Fatal Outcomes: Often the elevated intracranial pressure in cerebral malaria leads to the herniation of the brain stem, which in turn leads to acute respiratory failure and ultimately, death. These symptoms eventually accumulate and can often turn fatal. Nowadays, black-water fever is less frequent and has a relatively lower mortality rate than cerebral malaria. In 2011, the World Health Organization reported a whopping 91% of deaths due to malaria in the tropical areas of Africa. What’s even more shocking is that an overwhelming 86% of the deaths were of children below 5 years of age. Given these disturbing statistics, you must take every precaution to keep this dangerous disease at bay, and rush to the doctor for diagnosing malaria the minute you spot any of the malaria symptoms mentioned above. This entry was posted in Malaria and tagged signs and symptoms of malaria, what are the symptoms of malaria by Zipheal Editorial Staff. Bookmark the permalink.